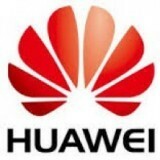 Huawei Technologies Co. Ltd. (/ˈhwɑːˌweɪ/; pinyin: About this sound Huáwéi) is a Chinese multinational networking and telecommunications equipment and services company headquartered in Shenzhen, Guangdong. It is the largest telecommunications equipment manufacturer in the world, having overtaken Ericsson in 2012. Huawei was founded in 1987 by Ren Zhengfei, a former engineer in the People's Liberation Army. At the time of its establishment, Huawei focused on manufacturing phone switches, but has since expanded its business to include: building telecommunications networks; providing operational and consulting services and equipment to enterprises inside and outside of China; and manufacturing communications devices for the consumer market.